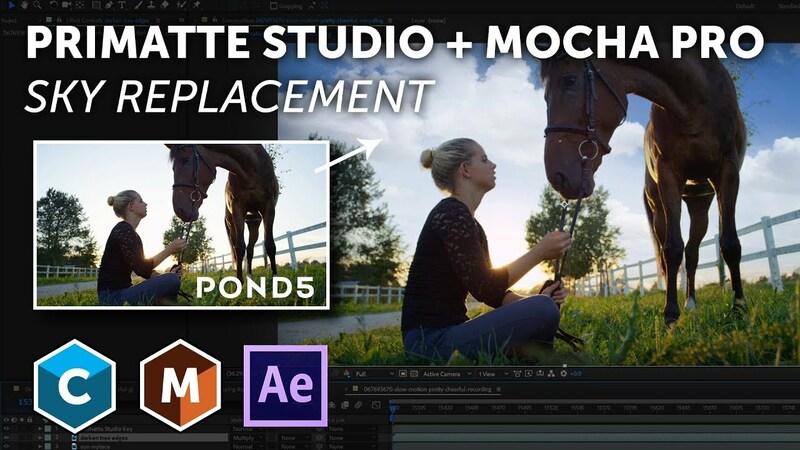 In this sky replacement tutorial with Mary Poplin from Boris FX, you see how to use Continuum and Mocha Pro with Adobe AE to replace a background. You’ll see how to use Boris Continuum Primatte Studio chroma keyer to remove the background. Next, you’ll see how to track and replace the background with a new sky using the Mocha Pro plug-in. Covering Keying, Planar Tracking, Insert Module and 3D Offset plus advanced compositing techniques to make the shot more realistic. Continuum and Mocha Pro are available as plug-ins for Adobe, Avid and OFX hosts such as Nuke, Fusion, Vegas Pro and more. Stock footage courtesy of Pond5. Visit Pond5 for stock footage, music, AE projects and more.